Home | Blog | TRAINING TO BE A MASTER STYLIST HAS TRANSFORMED MY LIFE! What did you do before High Definition Brows/what did an average day consist of? 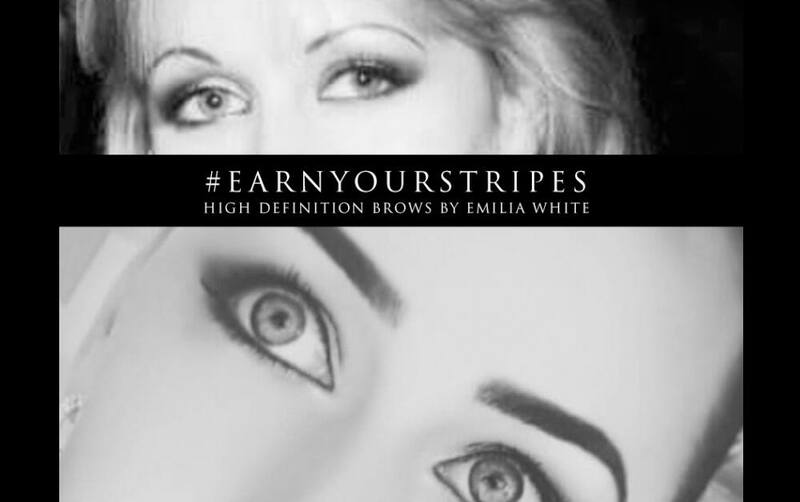 Before training in High Definition Brows, I was a housewife and Mother to three children, aged 9, 6 and 6 months. 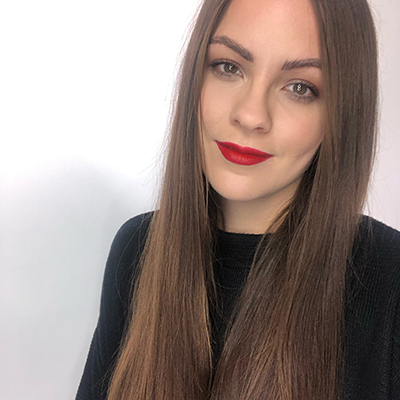 In September 2011, I started working as a self-employed eyelash extension technician when one of my clients recommended that I should train in High Definition Brows. When I looked into the brand, I could feel it in my bones that this was ideal for me. When I was a little girl, I always loved the glamorous looks of screen icons, but the elegant brows of Sophia Loren, Audrey Hepburn and Bridgette Bardot always stood out to me. 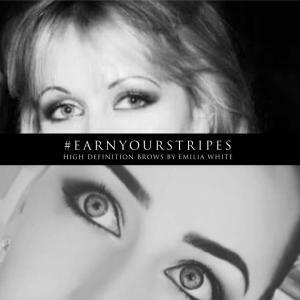 In April 2012, I completed my High Definition Brows course and I haven’t looked back since! How has High Definition Brows changed your life? I have gained my own identity, a profession for life, flexible hours, financial independence, and a lovely set of loyal clients. 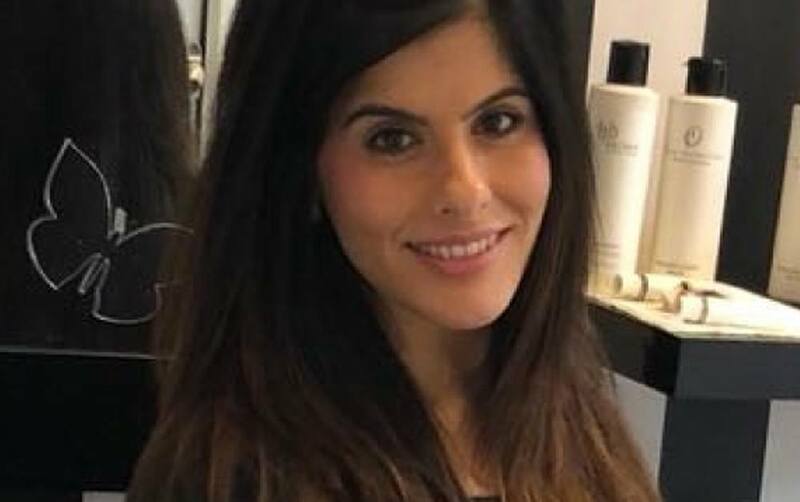 My children now see their mum as the owner of a highly successful business, with clients of all ages relying on me to look and feel great with their essential High Definition Brows treatment. What does an average day consist of for you now? High Definition Brows makes up 80% of my business and I could fill my diary with appointments seven days a week should I choose to. I love being around for when my children come home from school, so it’s great to have that flexibility. I couldn’t be happier in any other job – I love what I do, I love the brand and I am so proud to represent it. I especially enjoy the unbelievable results of the transformations that I’m able to achieve from challenging beginnings! Have you noticed a difference since training to Pro and Master level in your client base? Being trained to Pro and then Masters level has helped me to secure my reputation very early on after the initial course. Some prospective new clients seek that extra comfort and security that extra qualifications can bring. Would you recommend training to Master level and why? Most definitely – it is great to be the most highly trained in your area. The extra skills gained from advanced training mean that you can approach every new client with the utmost of confidence. I had one client who would to travel over 100 miles each way to receive her treatment from me! Shortly after my Masters Class I was asked to do the brows for “Little Mix”. Unfortunately, I was fully booked with my regular clients, but it was fantastic to be opportunity that I probably wouldn’t have received if I hadn’t trained to Master level. 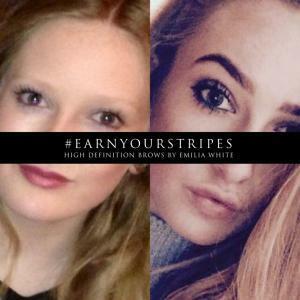 What has been your proudest moment since training in High Definition Brows? Every new client recommendation and every message of thanks and positive feedback makes me feel proud. I have received hugs and kisses from grateful clients, often with tears in their eyes because of what I’ve been able to achieve. Every time Nilam posts a positive comment, I feel extra proud! I was also asked, along with Lisa Coleman if my brow transformations could be shown on This Morning, which was a fantastic achievement, and of course, having my work crowned ‘Brow of the Month’ is always an honour! What advice would you give to people thinking about completing the next level of High Definition Brows training? Do it! I have gained confidence, skills and opportunities since training to Master level. People have more confidence in my extra qualifications and I have confidence from the extra skills I have learnt through advanced training. Some general advice I would give to Stylists would be to keep their standards high; always do patch tests (that will give your clients additional confidence in you, as you are caring about them and not just the profit). 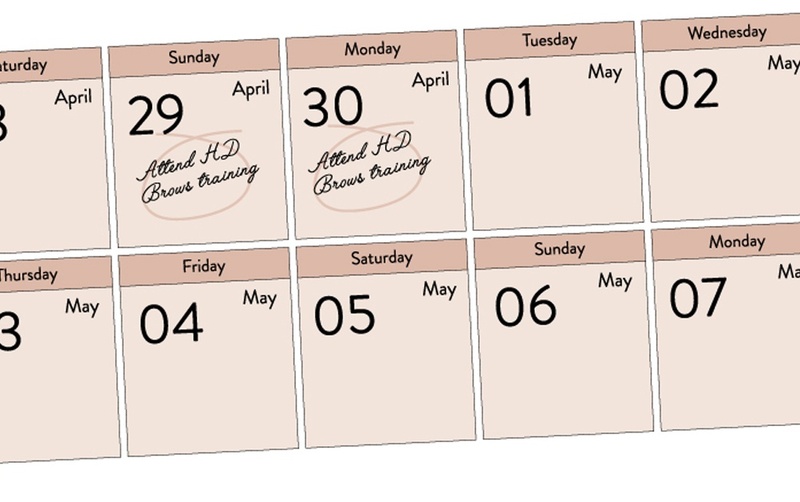 Are you ready to #EARNYOURSTRIPES on our advanced training courses? Click here or call the team on 0844 801 68 14 and keep your eyes peeled over the coming days for exclusive offers and incentives to help you on your way to taking the next step in your career with High Definition. Not yet trained with us? Click here to register for more information today.